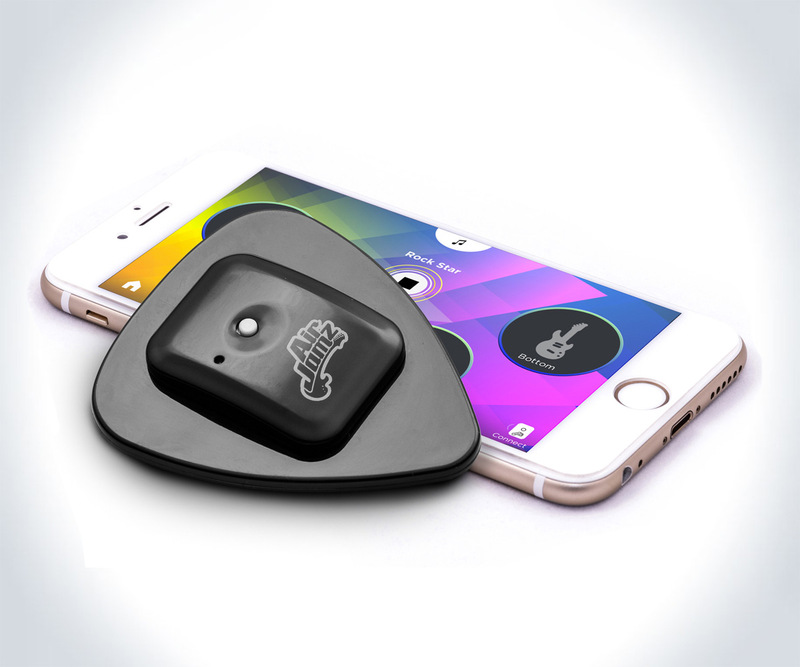 The AirJamz pick can play over 100 instruments and sounds that have been programmed into its iOS / Android app, which can also download songs and backing tracks to join in and give you a full band of support. 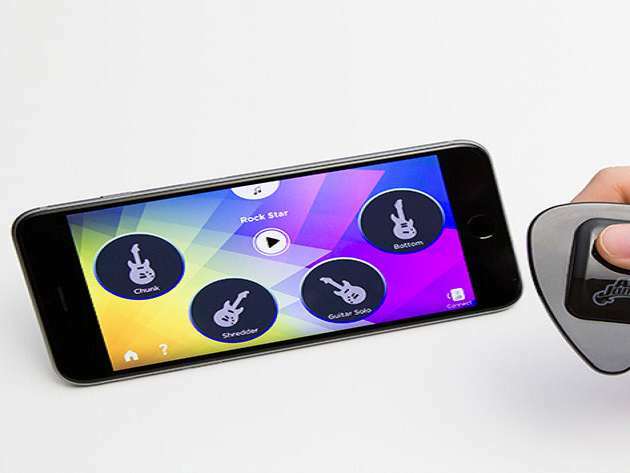 Or you can team up with your friends Cornelius, Victor, and Trevor-James and connect 4 AirJamz to a single device for a completely self made hot mess of a rock out session. 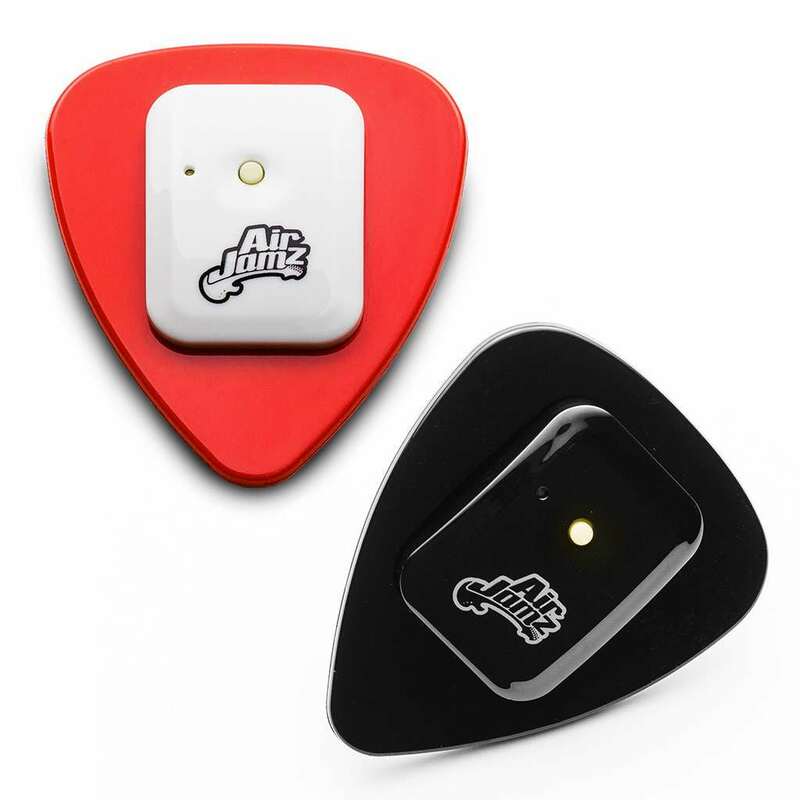 Follow the link above to get an AirJamz air pick for 20% off for a limited time.